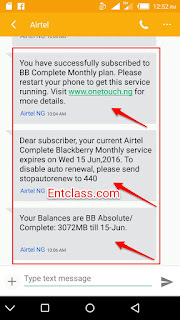 Home » Cheats » Why Are You Not Using Airtel BB10 Plan Of 3GB for N1000 On Your Android and PC? 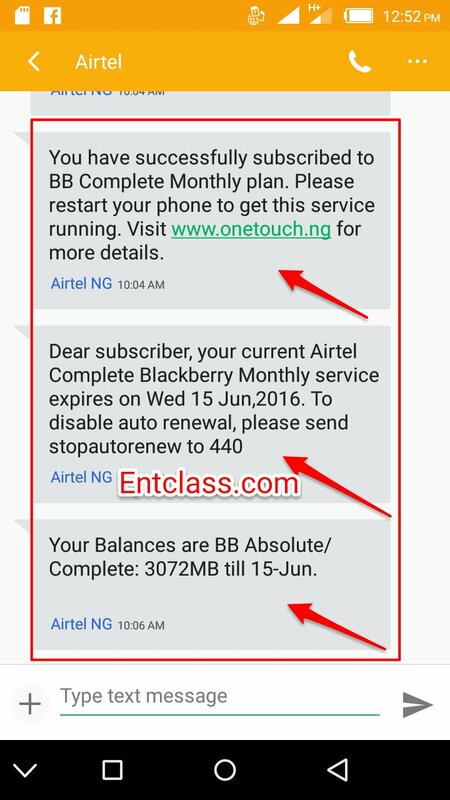 Why Are You Not Using Airtel BB10 Plan Of 3GB for N1000 On Your Android and PC? My question is, why are you guys not using the Airtel BB10 plan on android and pc which i posted here? Using Airtel BB10 plan which goes for 3GB for N1,000 that can be tweaked to work on Android and pc is an alternative to Etisalat socialme tweak which is now data capped on many Etisalat sims. I am currently using this Aurtel BB10 plan on my Android phone. It can be used on Pc also via Hotspot. Though Airtel is good in some areas and bad in some locations. If their coverage is good in your area, then you will enjoy this. HOW DOES AIRTEL BB10 PLAN WORKS ON ANDROID? It's very simple, all you need to do is to change your Android IMEI to a BB10 IMEI. Don't worry, i have generated more than enough valid Imei for you to tweak. For more info on how to subscribe to the Airtel bb10 plan of 3GB for N1,000 and steps to make it work on your Android, kindly read this post here. Then come back here to this post to get valid imei numbers to use. There you have them. It is working 100% and that's what i am currently using. After tweaking your imei, kindly reboot your phone or activate airplane mood for 5secs and deactivate it back for changes to take effect. After dailing the code i gave in that post to subscribe to the plan, you will get a success message from Airtel as seen below in my screenshot. If you are still confused, don't hesitate to leave a comment below. I will reply you immediately. Don't forget to hit the share button below. Not sure I understand anything about tweaking imel. How can I achieve that. Do they still zap mb twice the amount?? lol. The zapping is quite ok.
Ok i jus want to be sure b4 subcribing to it, cos dey usually collect twice d amount of mb i use, so d 3gb wuld nw end up being 1.5gb... so pls r u sure its no more like dat??? Sir, my data is zapping at normal rate. That's mine for u. Have you tried this BB plan on Android before? I use mine for just browsing alone and i only download app that is necessary. Can't find mobile uncle tool. Just search and download MTK Engineering on Playstore and download it. Will look for that for u later. But this is working. Can I resubscribe again when I exhaust my data, without reaching the initial subscribtion date? Yea, you can subscribe for this plan without changing your imei. Just subscribe to the plan and start browsing. Yes u can re-subscribe before the expiring date. Hmm, your observation though. Cos my battery draining is still at normal.